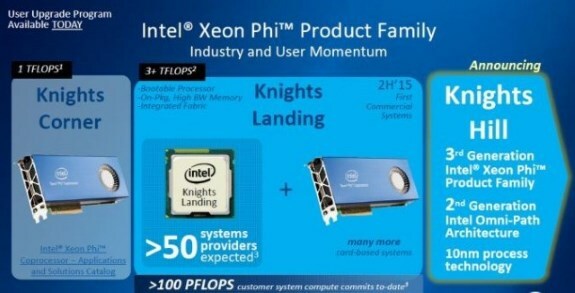 In the second half of 2015 we can expect Intel's Knights Landing but the company already revealed some details about its successor, the Knights Hill. Details are pretty scarce but we now know that Intel's 3rd generation Xeon Phi card will use a 2nd generation Intel Omni-Path architecture and that it will be manufactured on a 10nm process. You can learn more about Intel's upcoming Xeon Phi cards at ExtremeTech, who argues that NVIDIA's Tesla K80 seems to have pulled ahead in terms of overall performance and time to market.